Upon your arrival at Cairo Airport you will be met and assisted with customs formalities and your baggage, then you will be transferred to your hotel. If you are arriving by bus from Israel you will be transferred to your hotel. 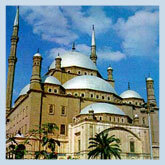 Today, enjoy the legendary treasures of Cairo on an included full day tour. You will visit the world famous Egyptian museum of Antiquities and the Tut Ankh Amun Galleries, (including the masterpieces of King Tut), the Saladin Citadel and the Mohammed Ali Mosque. Afterwards visit the Old City of Cairo, the Ben Ezra Synagogue and the Coptic Church of St. George. Then it’s on to visit the bustling Khan el-Khalili Bazaar- where haggling is in and bargains are out of this world. You will then return to your hotel and enjoy dinner. 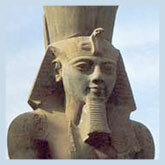 Your day starts with a drive to Memphis, capital of the ancient Egyptian kingdom. Most of the splendors of this ancient city have been destroyed by time or careless conquerors, but the 18th Dynasty Alabaster Sphinx still remains, as does a beautiful statue of Ramses II. You will also visit nearby Sakkara, city of the dead, to see the Step Pyramid built by Zoser I in 2686 BC. From here you will be driven to view the Pyramids and Sphinx of Giza, before returning to your hotel.